Nice starter or investment property. Nice 3 bedroom home with a great location! Complete remodeled kitchen, bathroom and laundry, new flooring. Vaulted ceiling in living room. Master bedroom with a walk-in closet and bathroom upstairs. Move-in ready home. 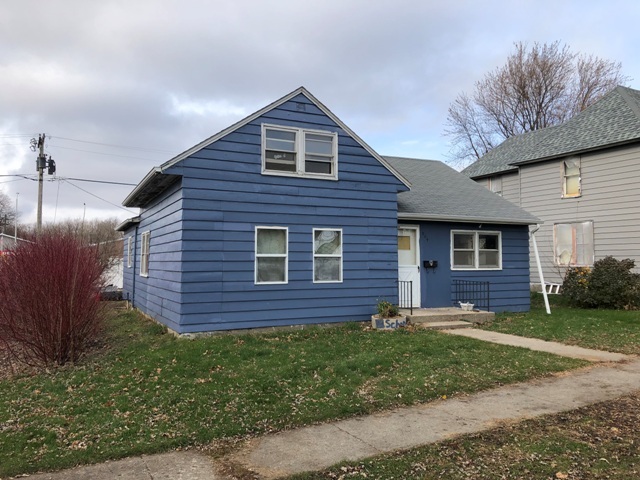 This very nice two bedroom, on bathroom bungalow style home has some nice updates that include flooring in the porch, living room, hallway, bathroom and living room. The two bedrooms have new paint. The double car garage was built in 1998 and is insulated and sheeted. The appliances are negotiable as well as the workbench in the garage.